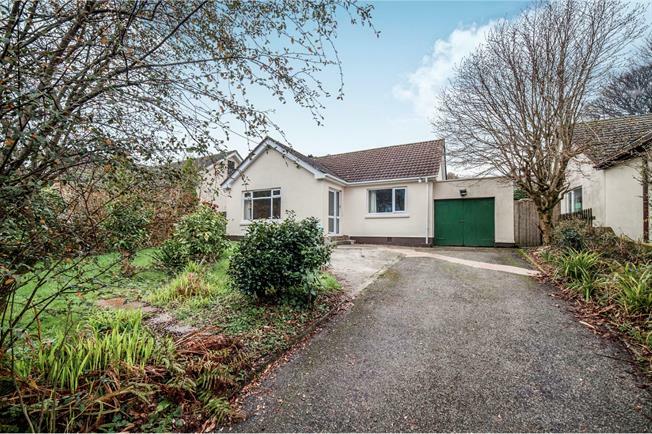 2 Bedroom Detached Bungalow For Sale in Helston for Guide Price £250,000. Situated within a beautiful rural hamlet set back from the road and enjoying countryside views. Spacious and practical this detached two double bedroom bungalow has been modernised within and is a credit to the owners. The property benefits from a good sized kitchen/diner with a modern Alpha Range cooker that also controls the heating and hot water. A light and sociable living room that opens through to the dining room, modern shower room with a further two double bedrooms. Outside there is very generous driveway parking, garage and gardens to front and rear. UPVC front double glazed door with side screen into the porch area, coat hanging space and inner door to entrance hallway. Radiator, doors to living room, dining room, kitchen/diner, shower room, airing cupboard and bedrooms. Light room enjoying views over the generous garden, double glazed uPVC window facing the front aspect, radiator, laminate flooring, open doorway to dining area. Double glazed uPVC window facing the side aspect, radiator, laminate flooring, door to entrance hallway. A lovely sociable room with uPVC double glazed door opening onto the garden, double aspect double glazed uPVC windows facing the rear and side, radiator, tiled flooring, roll top work surface, wall, base, drawer and display units, stainless steel sink, freestanding Alpha range style cooker that also provides heating and hot water, space for washing machine, fridge/freezer, space for dining table and chairs. Double glazed uPVC window facing the rear aspect overlooking the garden, radiator. 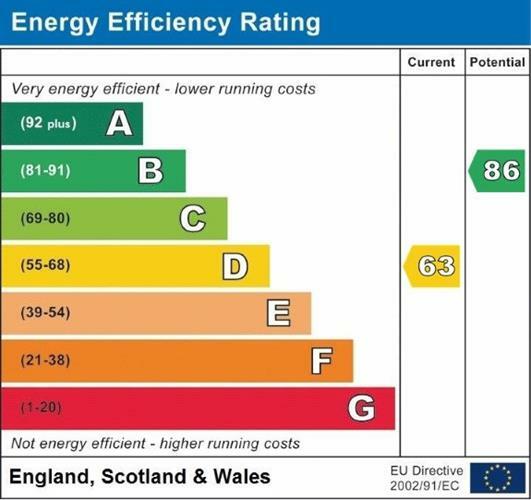 Double glazed uPVC window facing the front aspect, radiator. A modern shower room with double glazed uPVC window with obscure glass facing the rear aspect, radiator, tiled flooring, shelving, part tiled walls. Low level WC, walk-in shower, pedestal sink. Single glazed window with obscure glass facing the side aspect, double opening garage doors and a single rear door. The garage also benefits from a gardeners WC to one side. Single glazed window with obscure glass facing the side and located in the garage, very useful gardeners toilet!! The property has generous gardens to the front with plenty of parking and a garage, there is access to both sides of the property via a private gate. Rear gardens again of good size and mainly laid to lawn, there is a further covered area which makes an ideal drying/sitting out space.